The tri-band system will feature a dedicated 4x4 802.11ax network for data backhaul. Netgear was one of the first router manufacturers to embrace Wi-Fi mesh technology, and now it will be among the first to offer a Wi-Fi mesh system based on Wi-Fi 6 (aka 802.11ax). The system will support 12 concurrent data streams to deliver four times the capacity per node compared to previous Orbi systems. Netgear says it will support gigabit internet access speed across the entire network (your internet access speed will ultimately be determined by your ISP, of course; gigabit internet access is something of a rarity for most folks). Like the original Orbi, this is a tri-band system operating one network on the 2.4GHz frequency band and one on the 5GHz band. A second 5GHz network is dedicated to data backhaul, supporting four spatial streams in each direction. Wi-Fi 6 technology is ideal for homes with lots of devices, ranging from smart home gadgets like switches and dimmers to media-streaming devices that pull down high-definition video from the internet. The substantial backhaul that the new Orbi system supports should help to eliminate data bottlenecks while covering a substantial number of square feet. 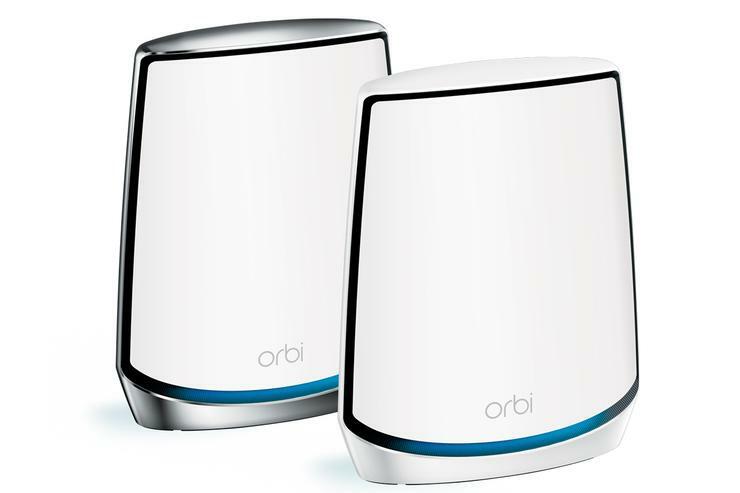 The next-generation Orbi mesh Wi-Fi system is expected to arrive in the second half of 2019, but Netgear has not yet announced pricing.